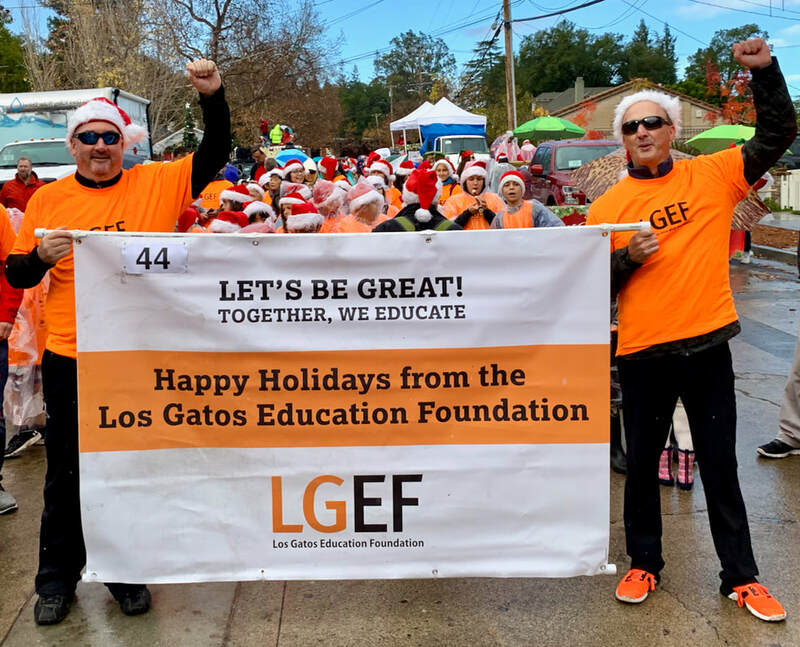 ​education for the children of Los Gatos. "Fisher Fling" Party and Fundraiser! 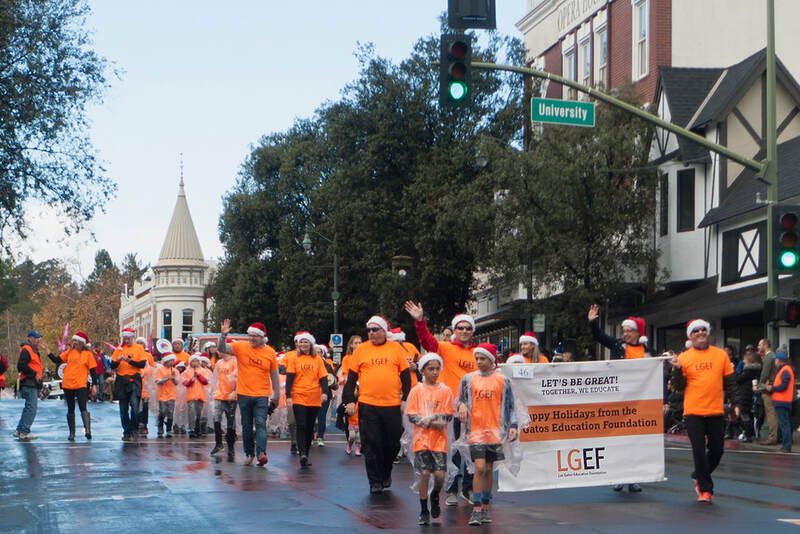 Jointly sponsored by Fisher Home & School Club and LGEF. 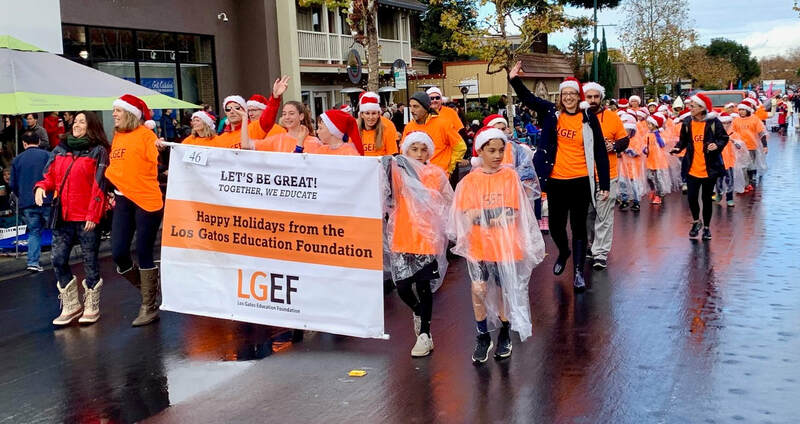 Fisher Home & School Club and LGEF are partnering to sponsor the first ever Fisher Fling Party and Fundraiser at LOMA brewing in Los Gatos. Ticket sales close February 1st. 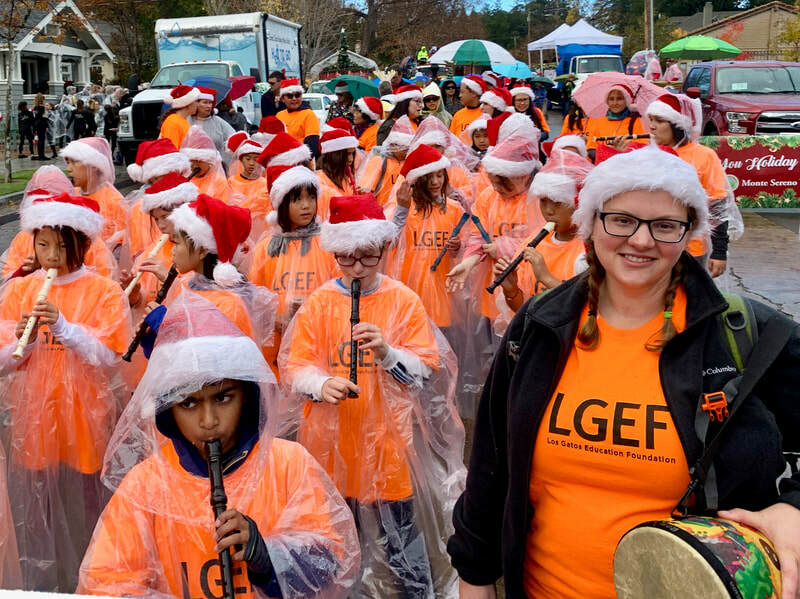 Continuing an annual tradition, our awesome elementary school recorder band represented LGEF in the annual Los Gatos Holiday parade. 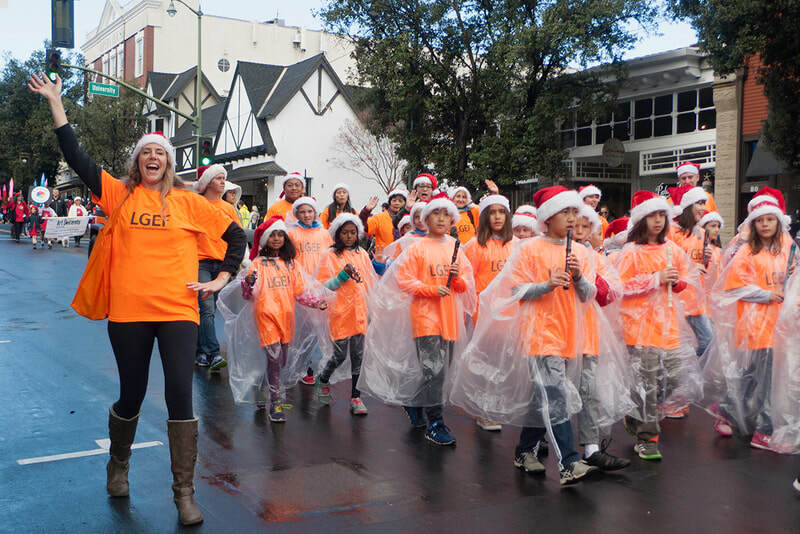 Click (or tap) on the above video and hear for yourself! 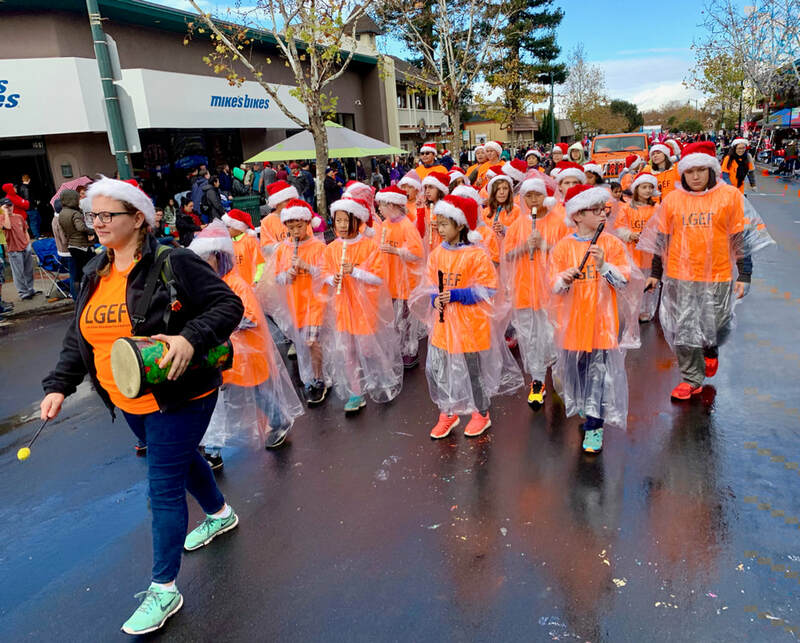 Congratulations to our fabulous music teachers Alyson Ancheta and Ana Hartwick-George for teaching the students and leading the group. They sounded great! 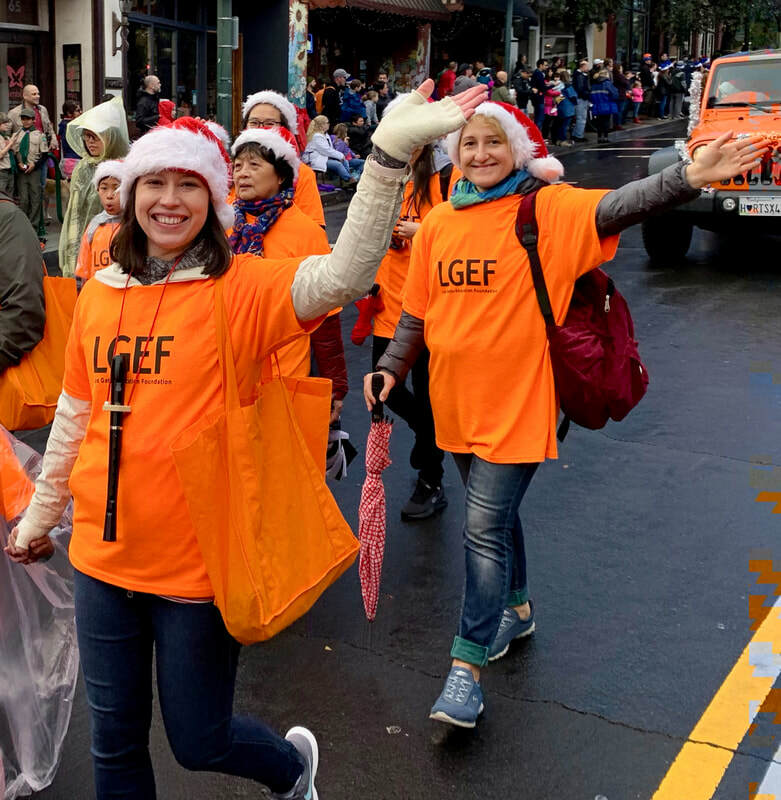 Special thanks to super-volunteer Lisa Renner for coordinating the parade, and to LGEF Executive Director Deborah Weinstein for all her parade-day efforts. 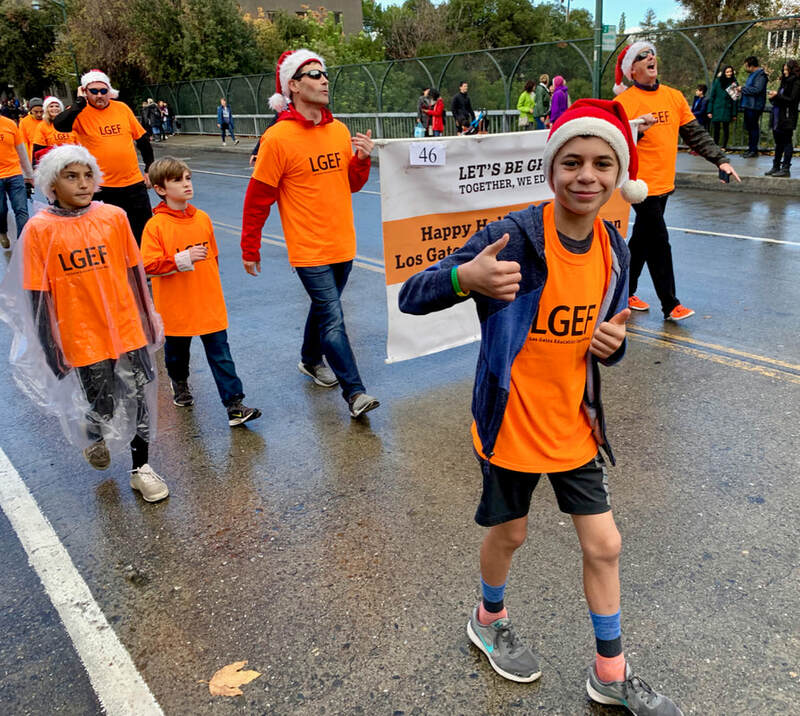 We would also like to recognize as marchers District Superintendent Paul Johnson and his wife Debbie along with District Curriculum Director Arcia Dorosti and his family. 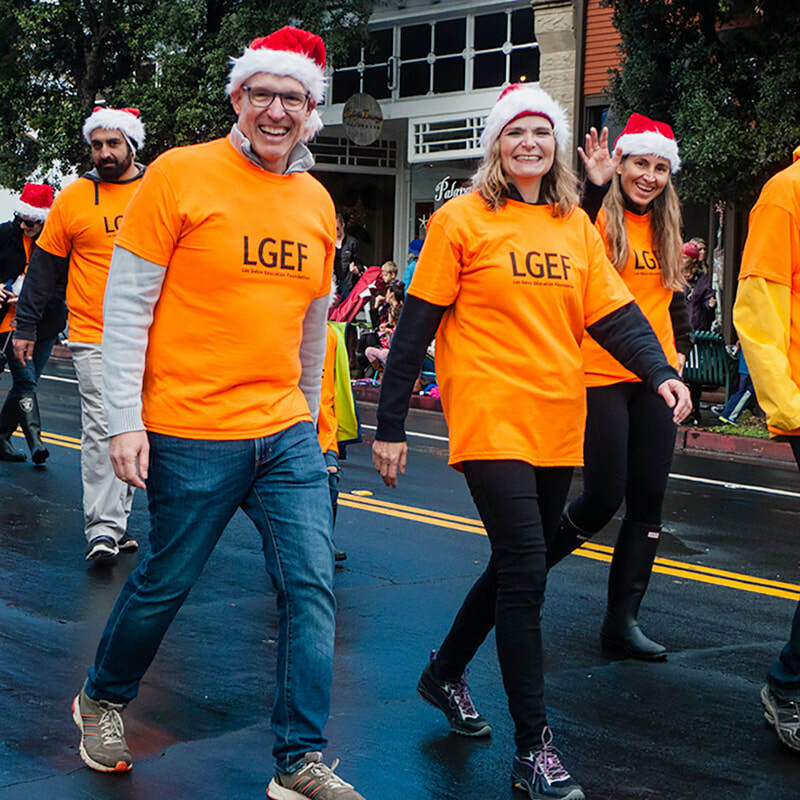 Finally we so appreciate the LGEF Board Members and the various LGEF friends who came out on a rainy day to march with the children.